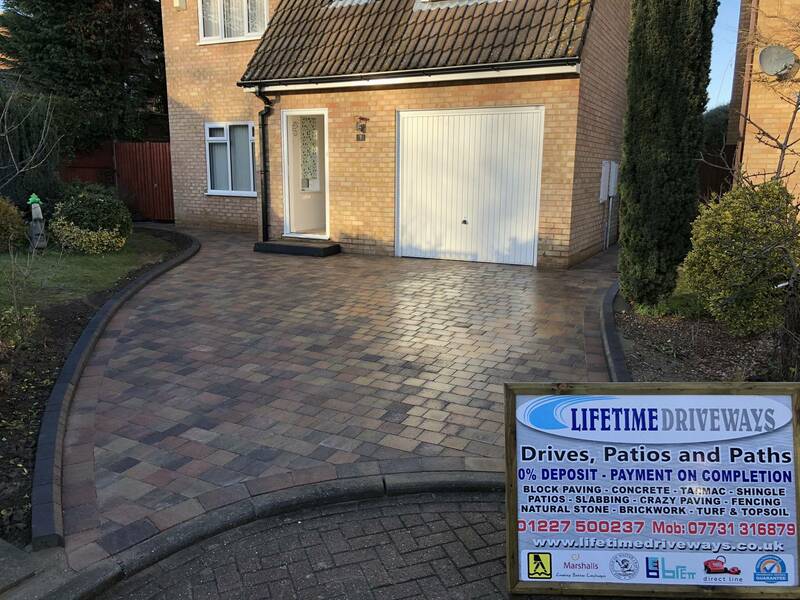 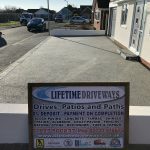 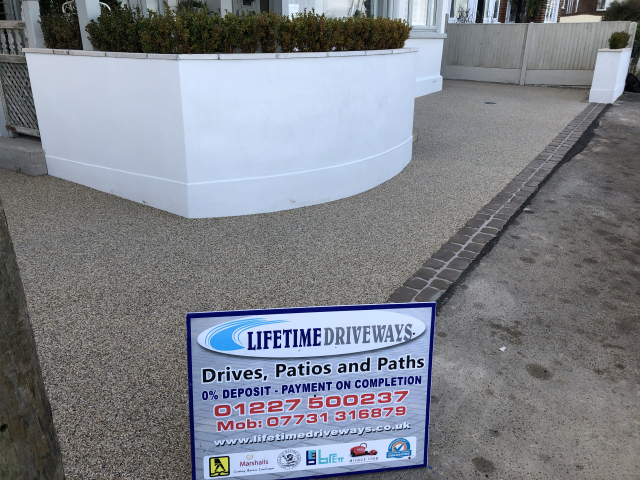 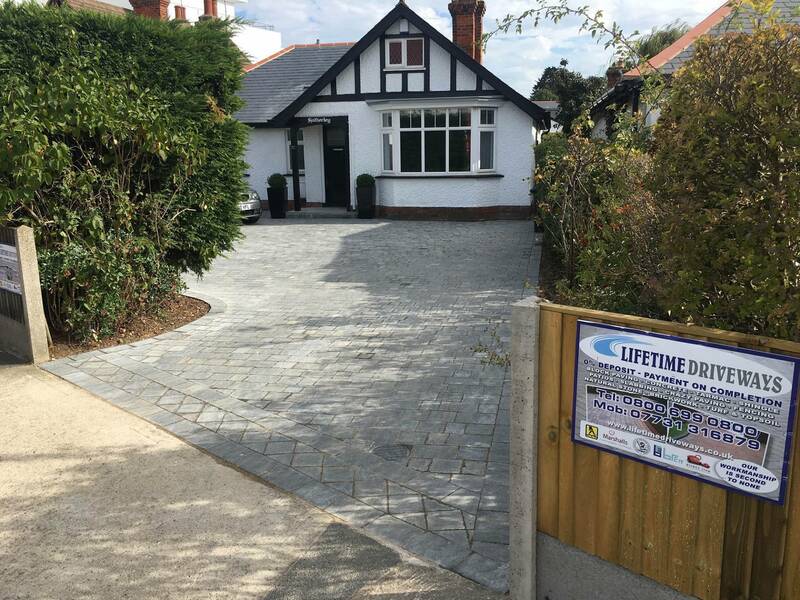 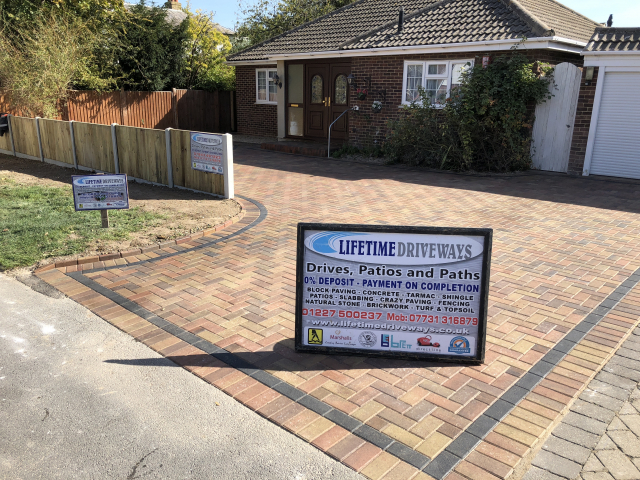 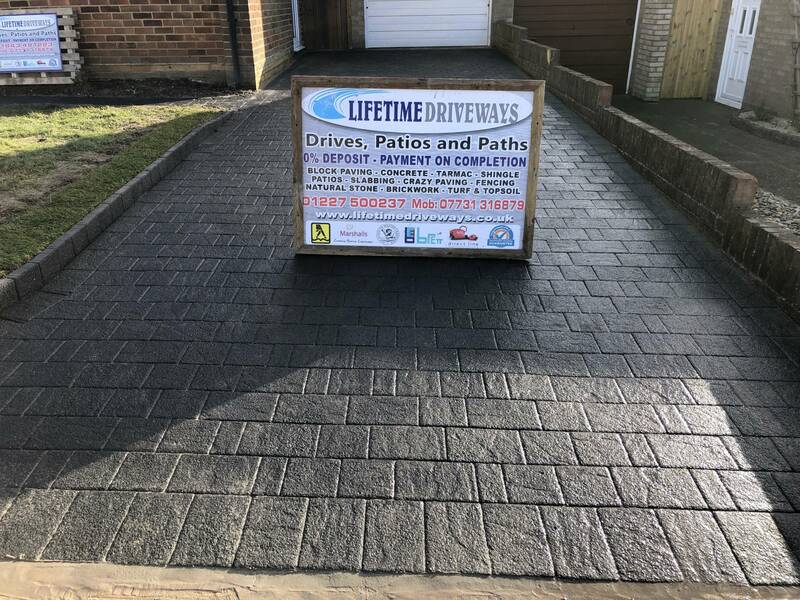 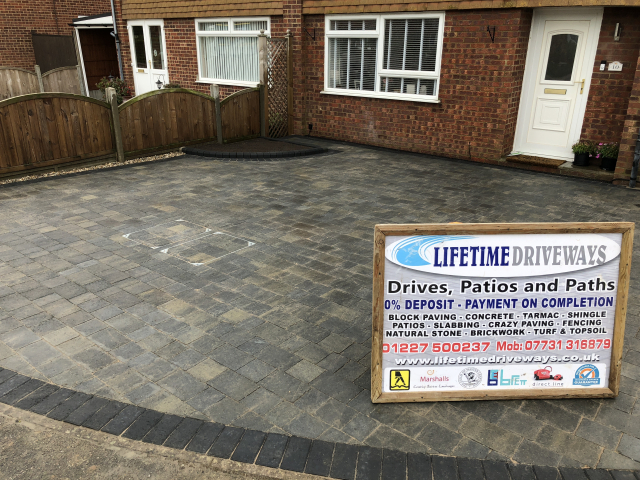 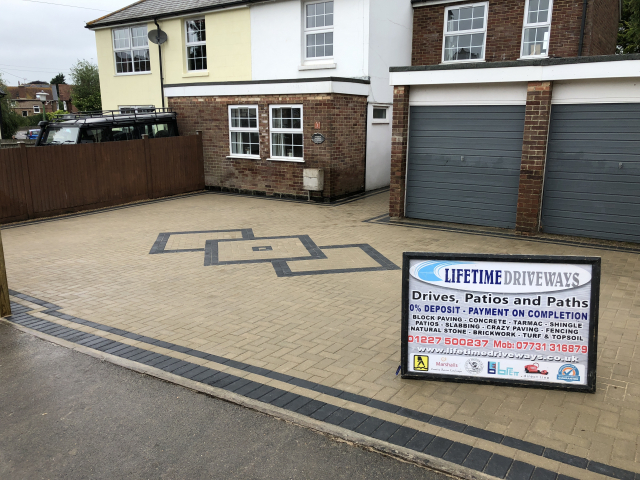 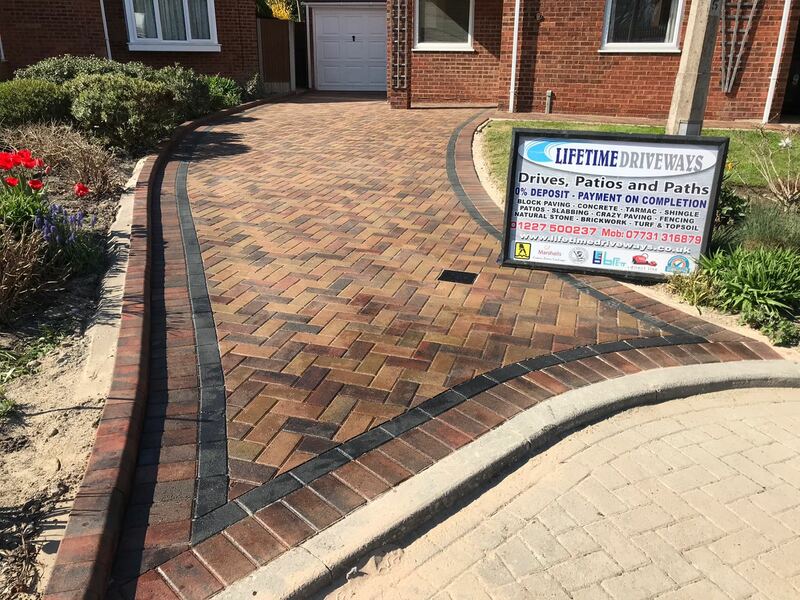 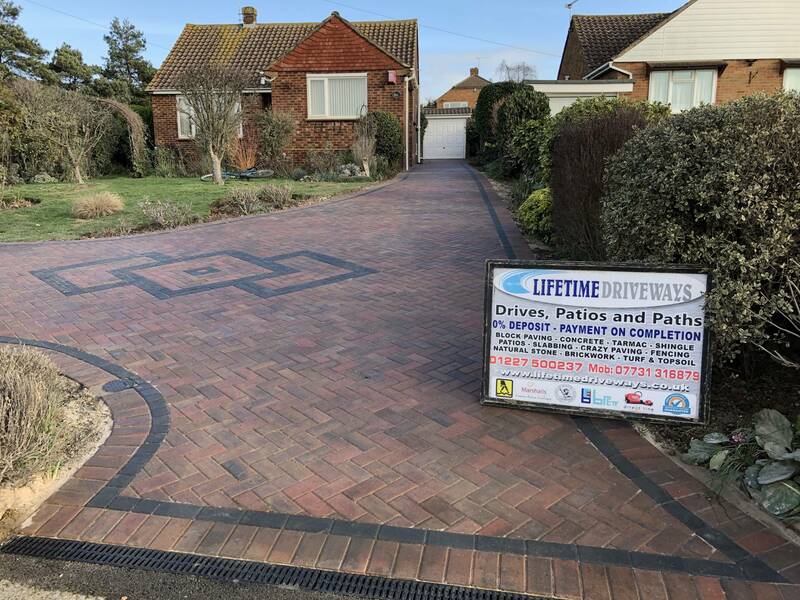 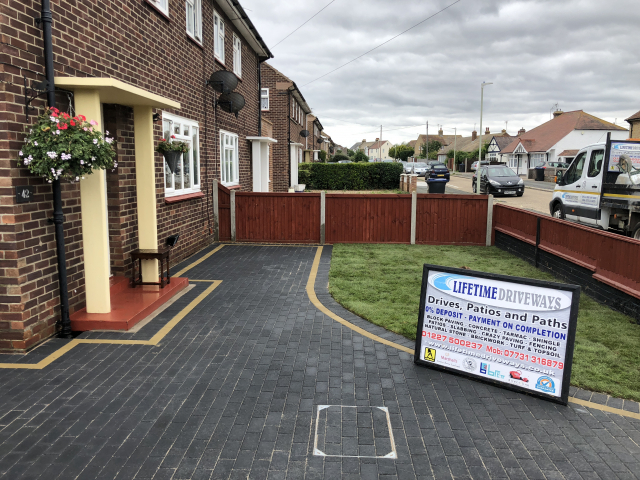 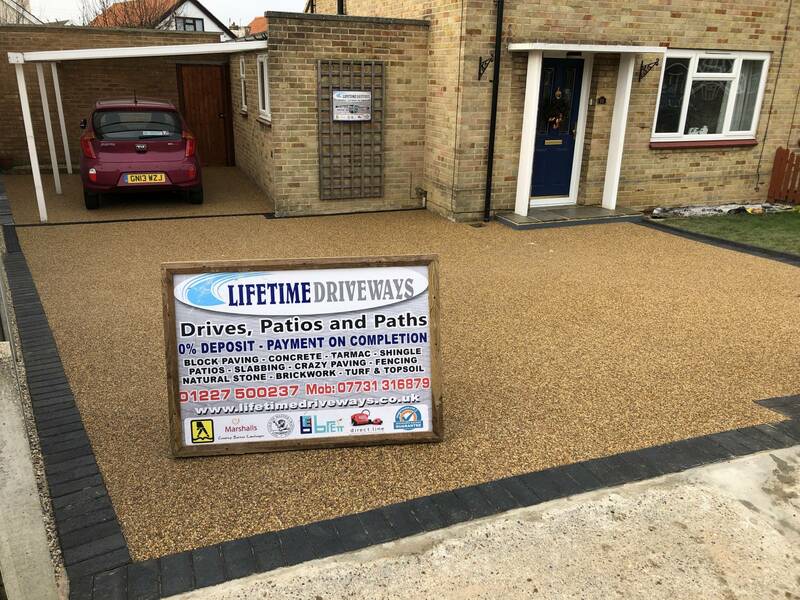 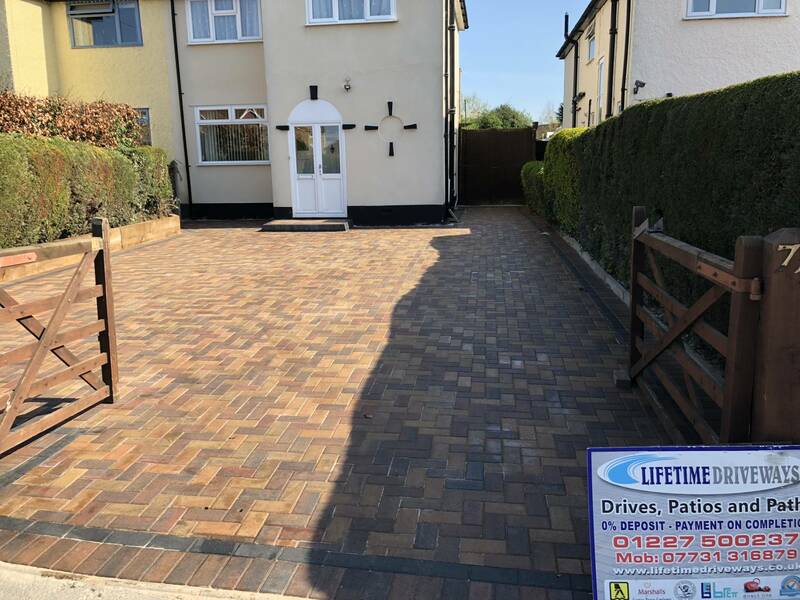 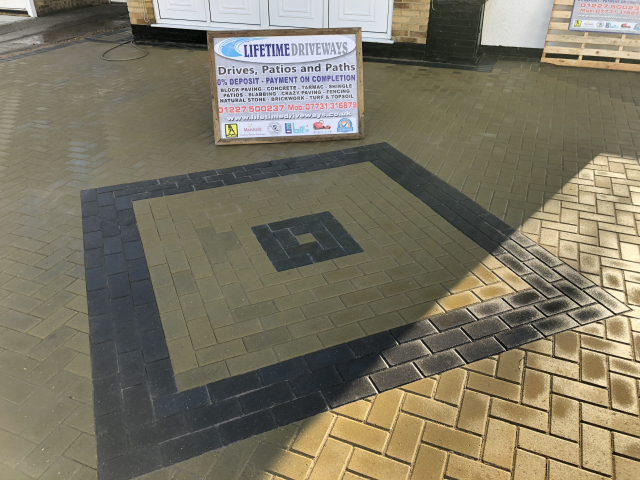 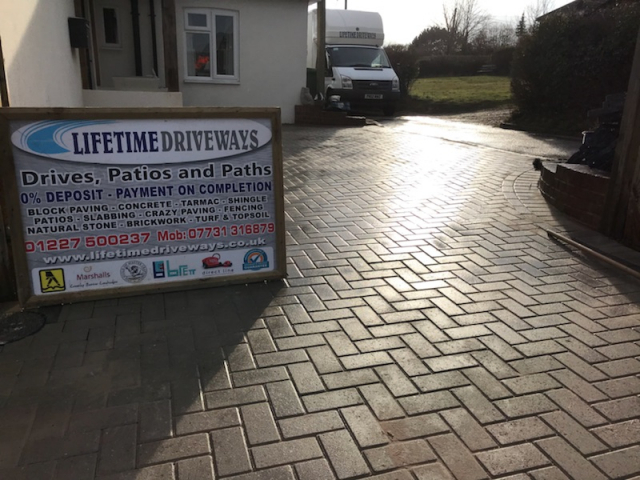 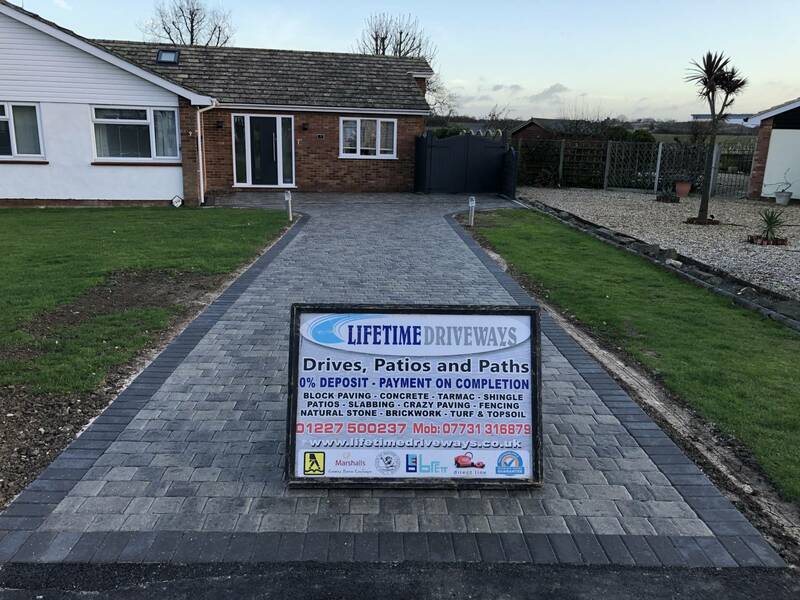 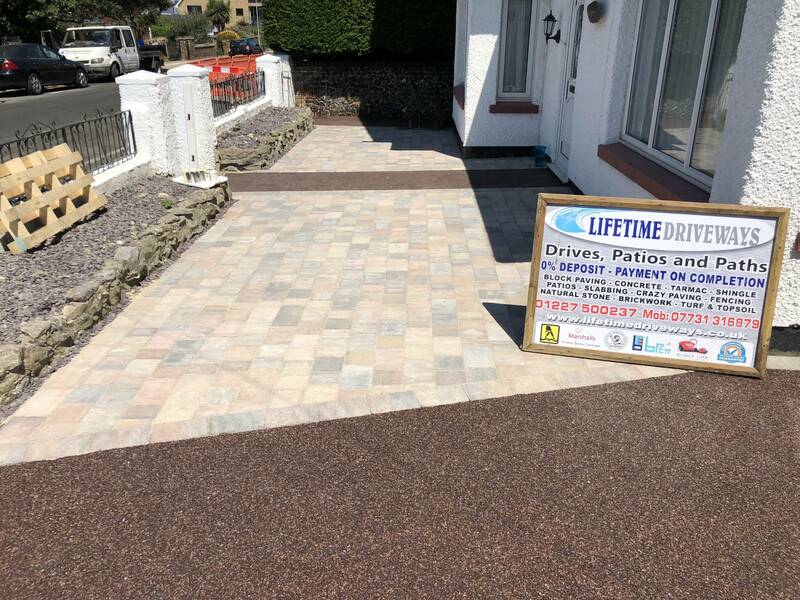 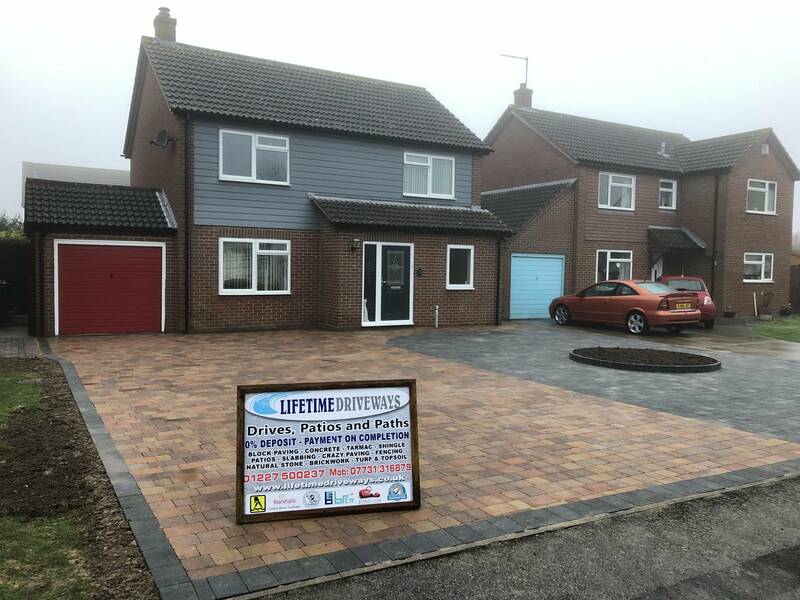 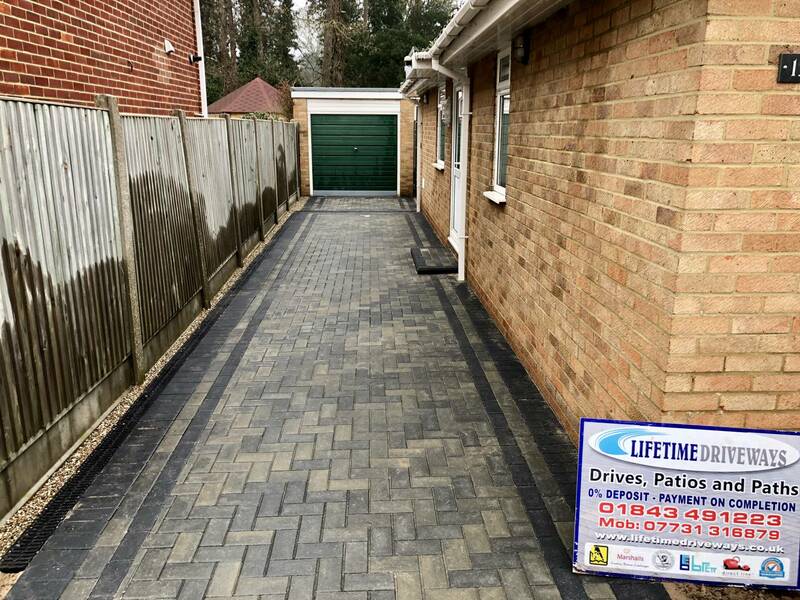 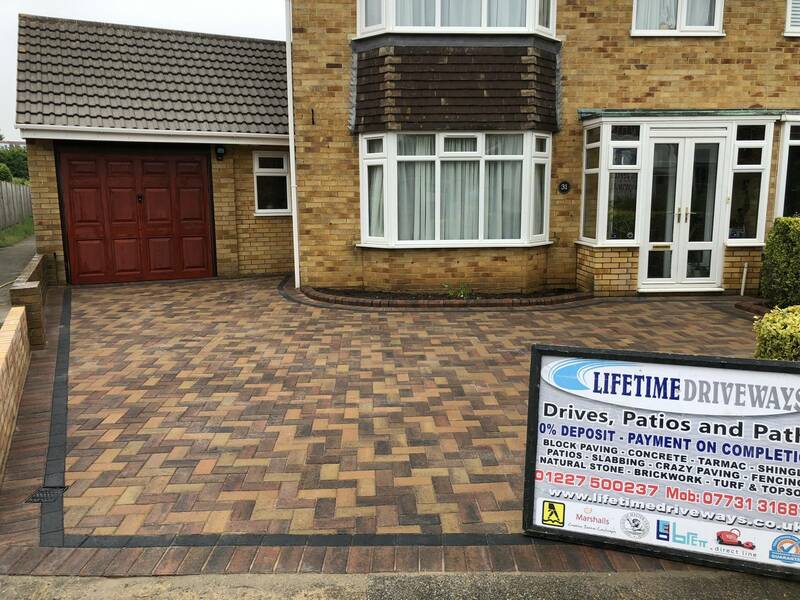 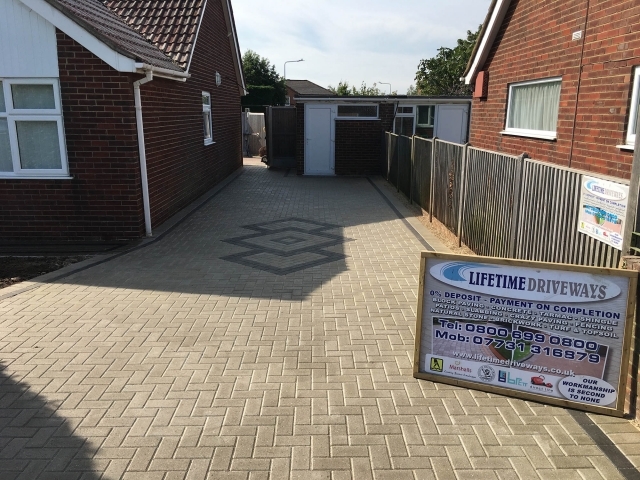 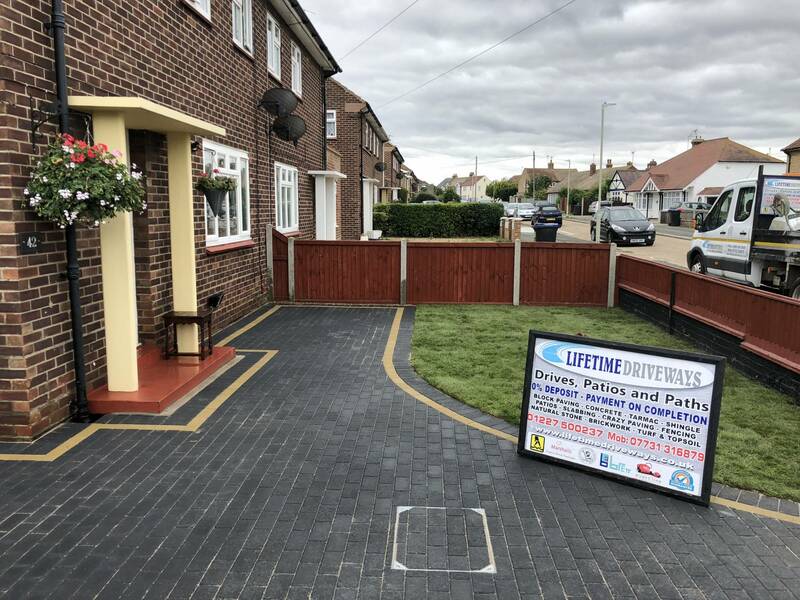 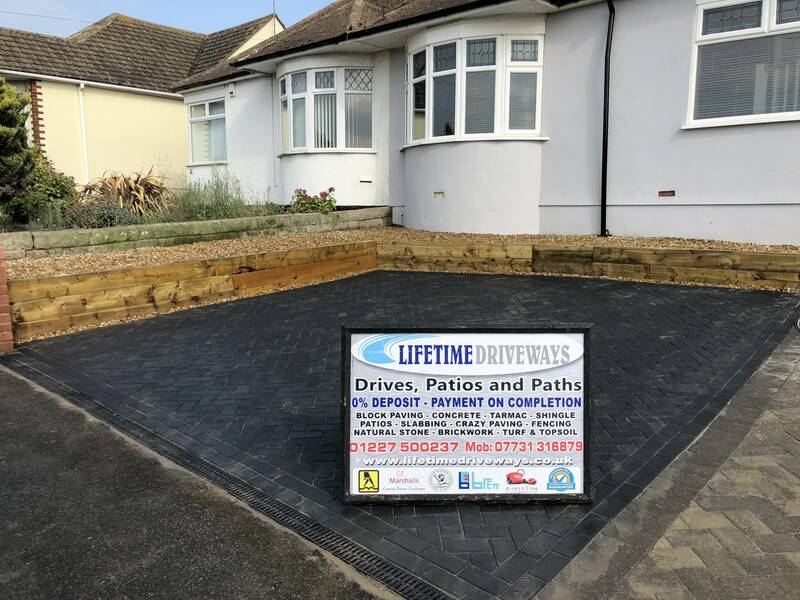 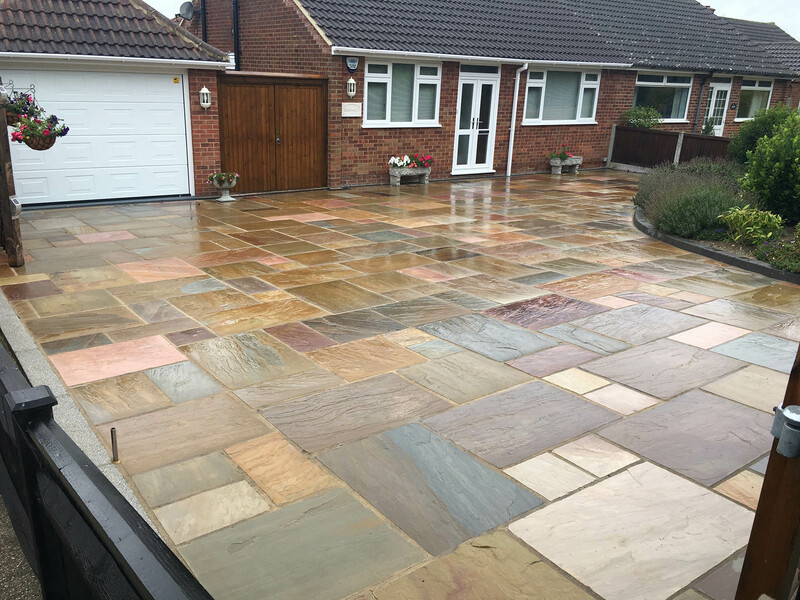 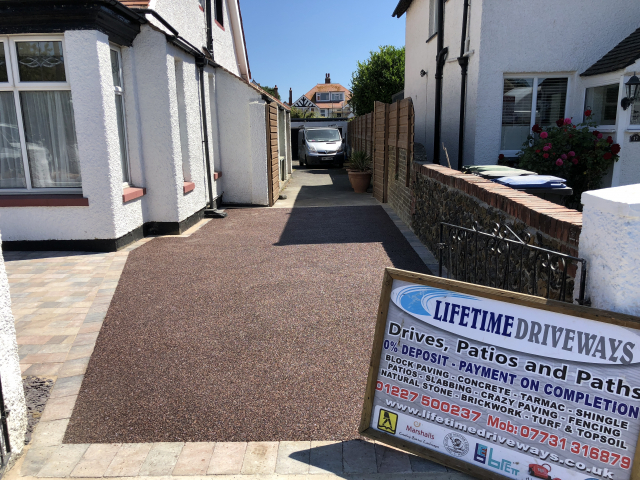 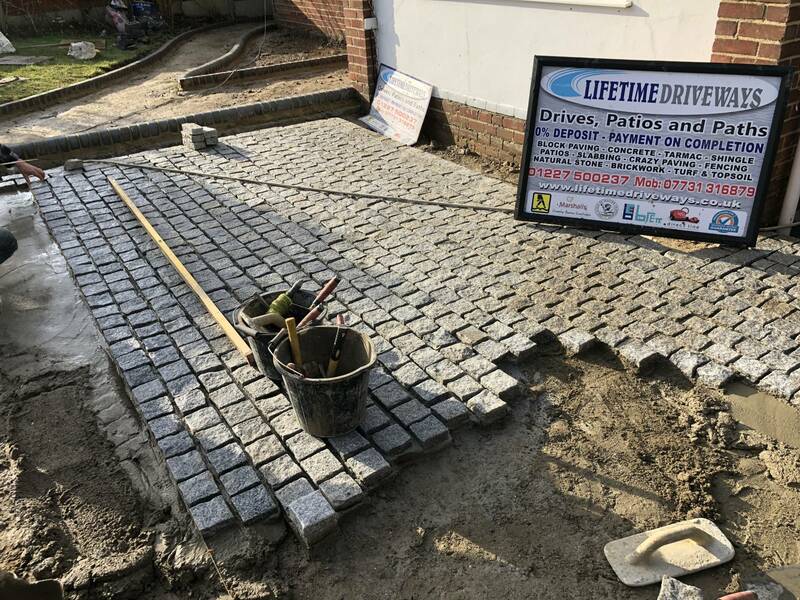 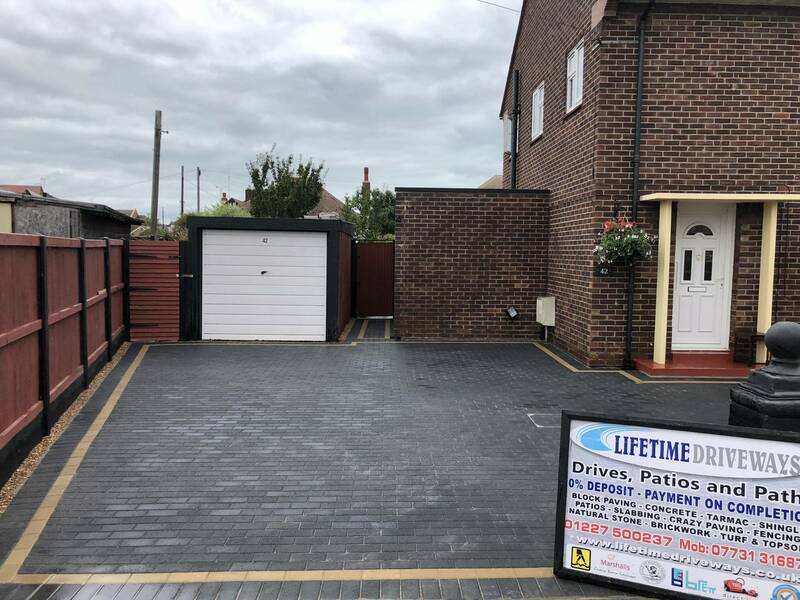 We are masters of all types of paving so do not hesitate Give Lifetime Driveways a call for a reliable and friendly service. Infinite range of patterns created to your choice. 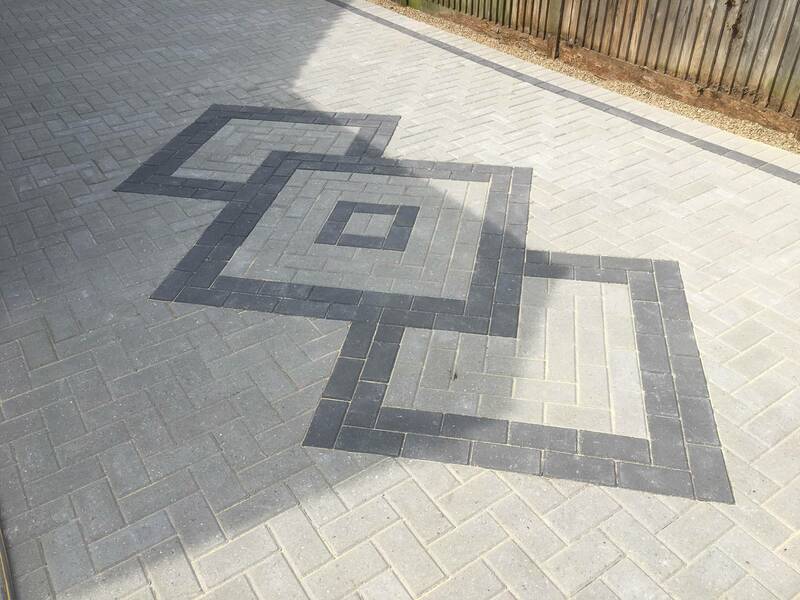 We’ll take time to talk you through different designs, patterns, colours and styles to suit and enhance your property. 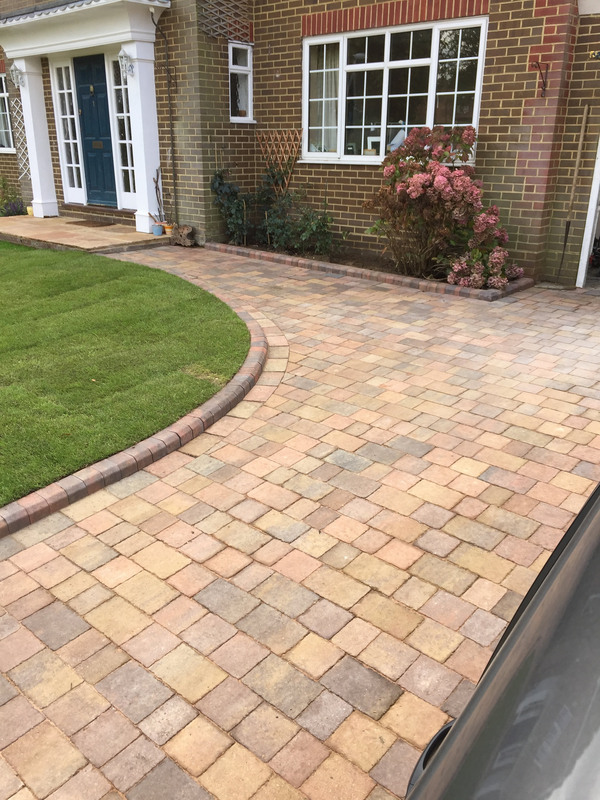 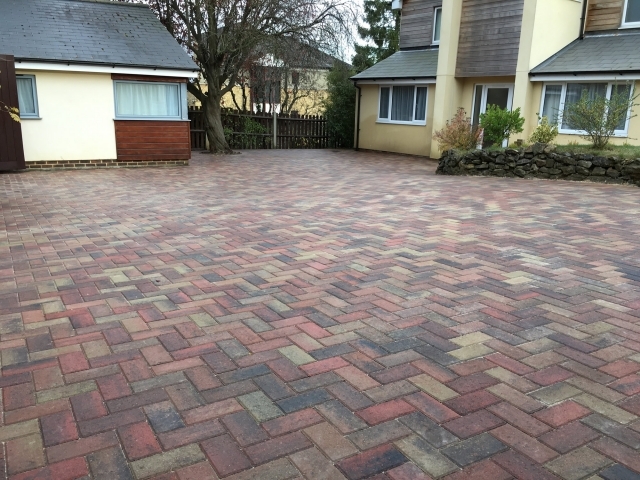 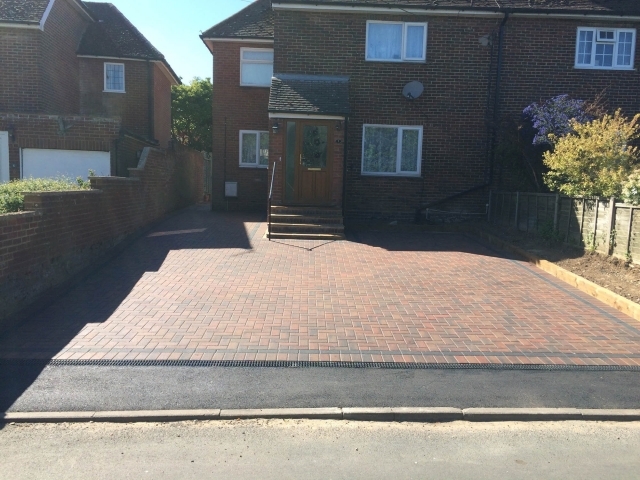 For driveways, block paving is now the most popular form of hard landscaping. 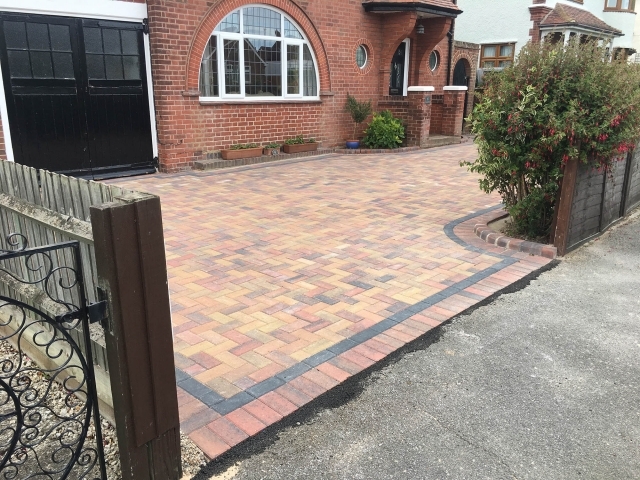 We do everything from block paving to yorkstone driveways. 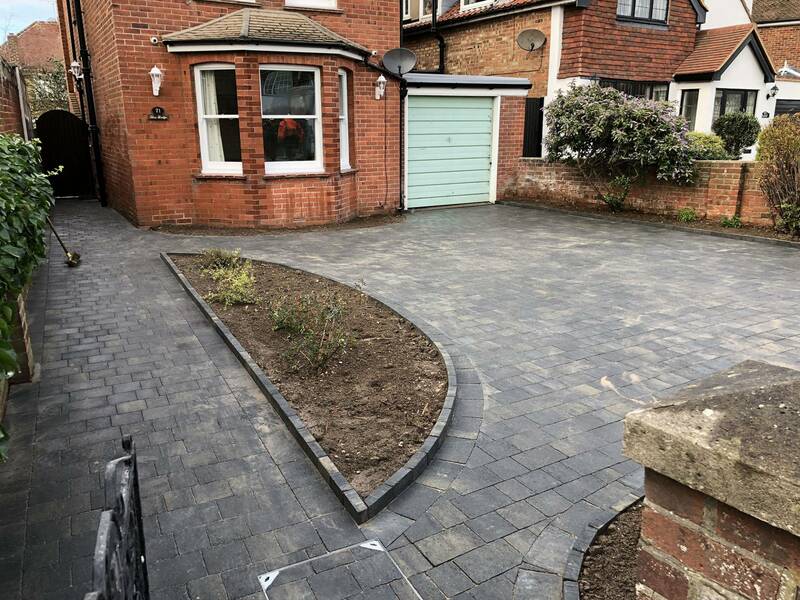 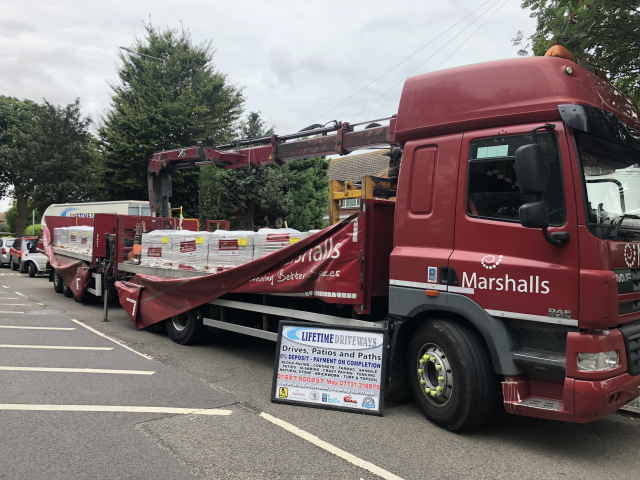 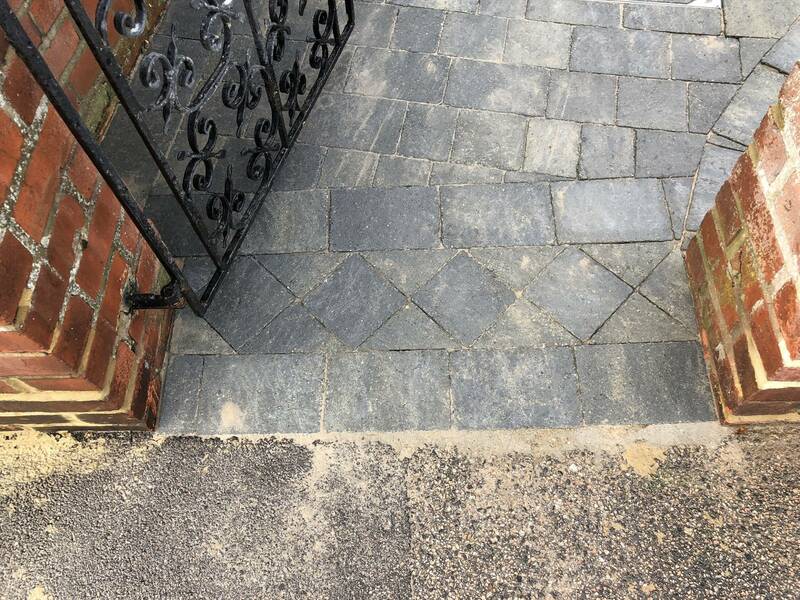 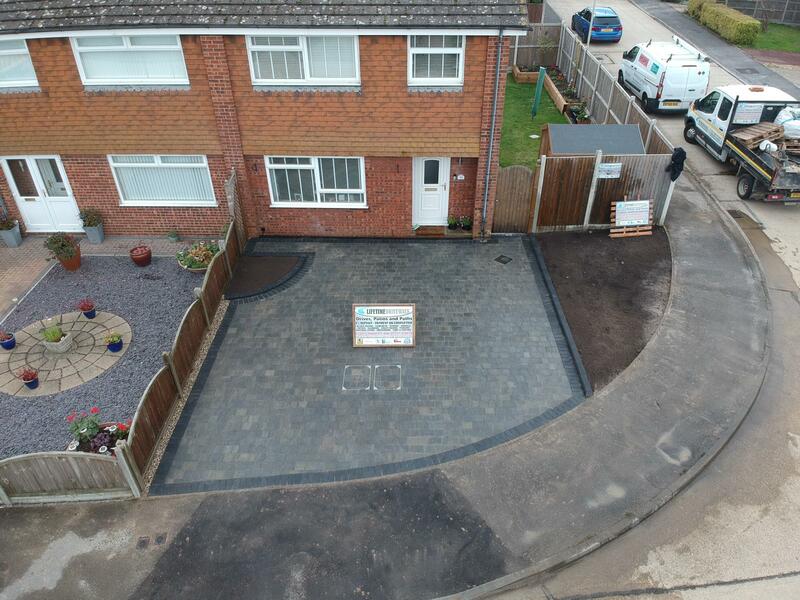 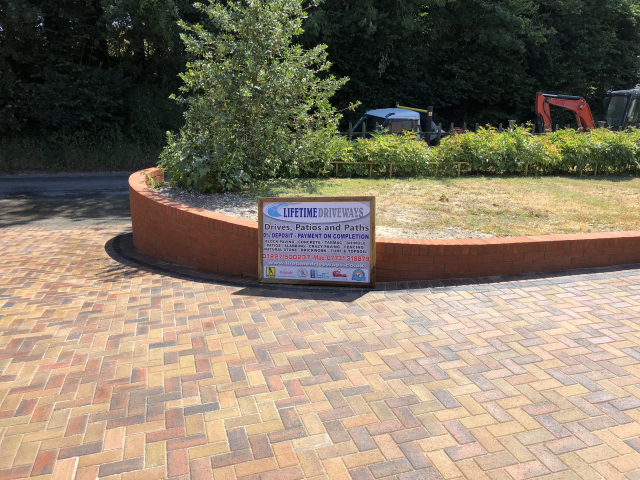 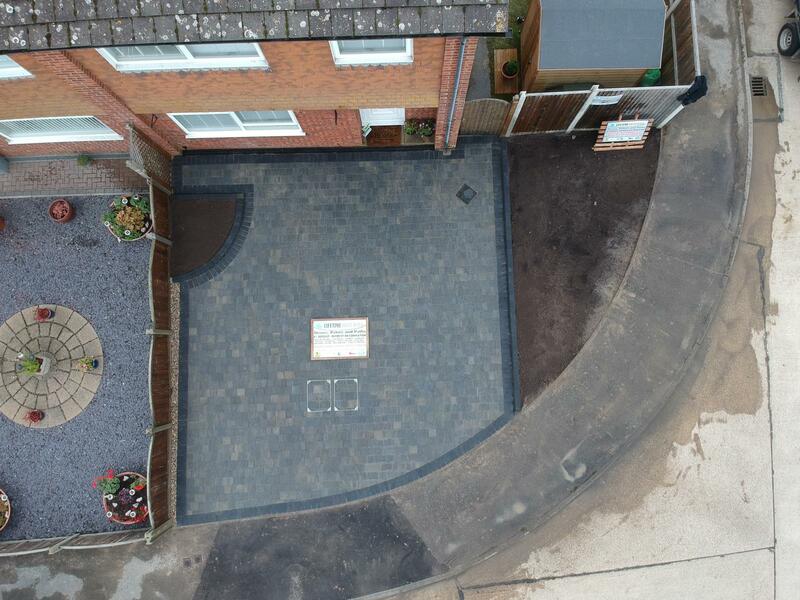 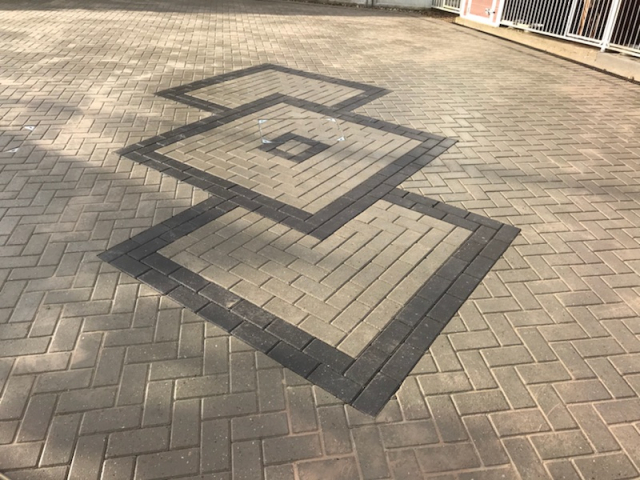 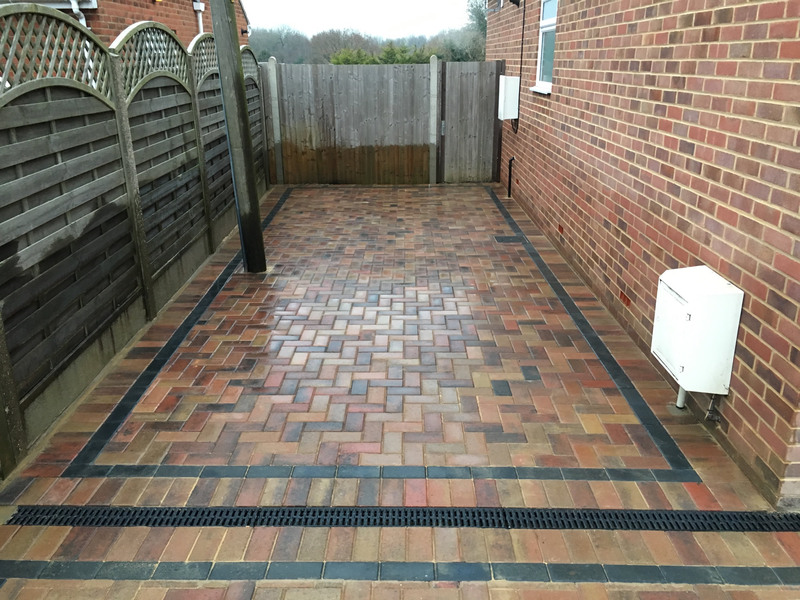 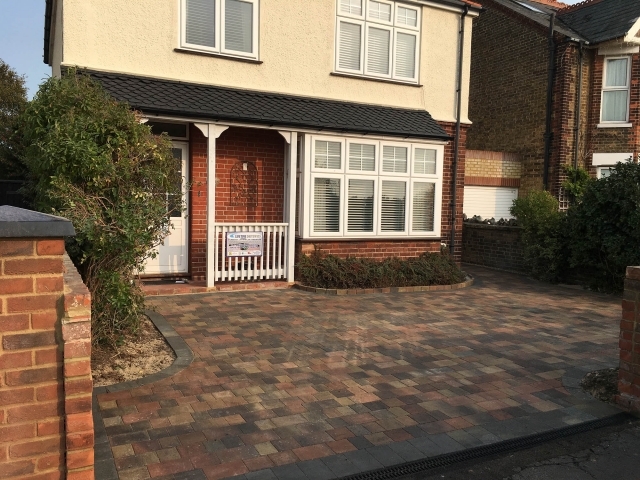 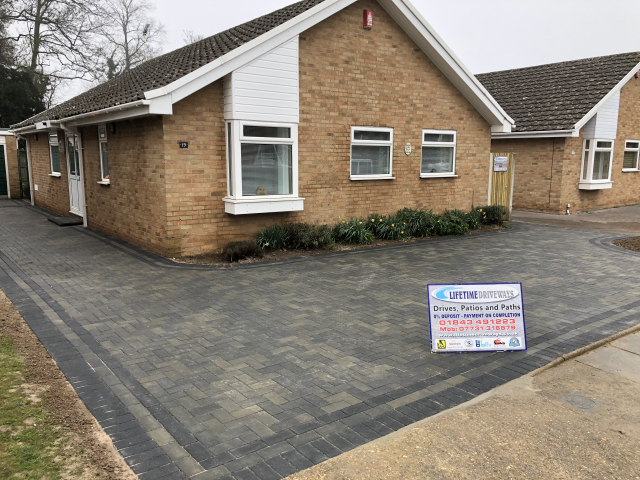 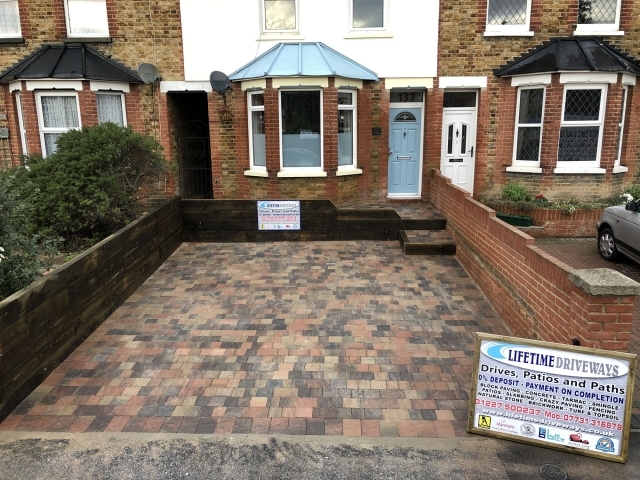 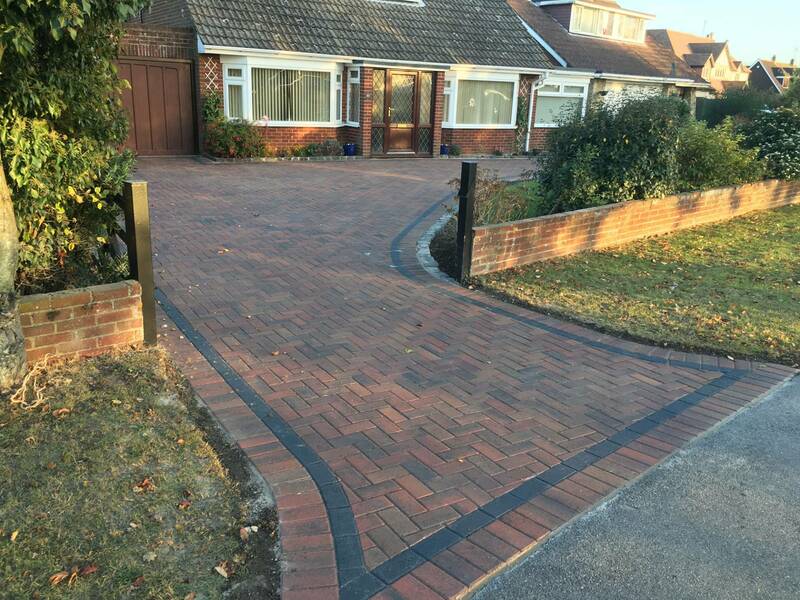 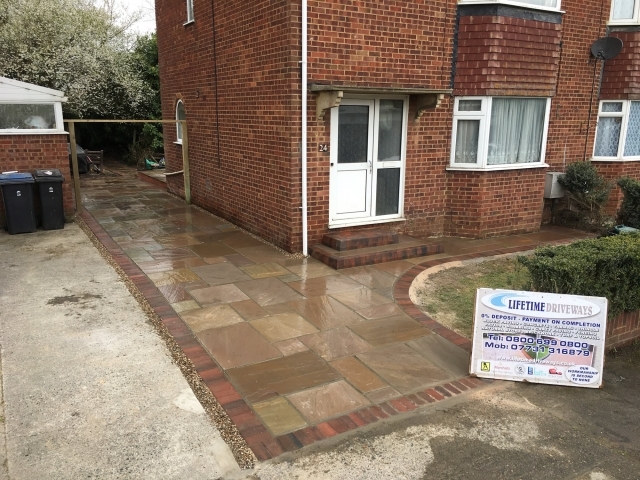 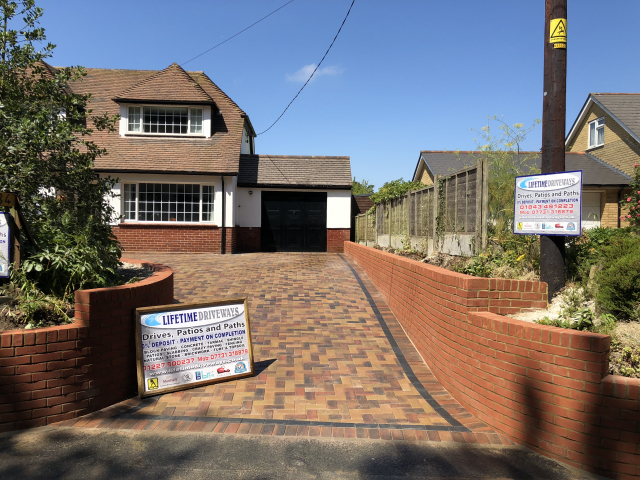 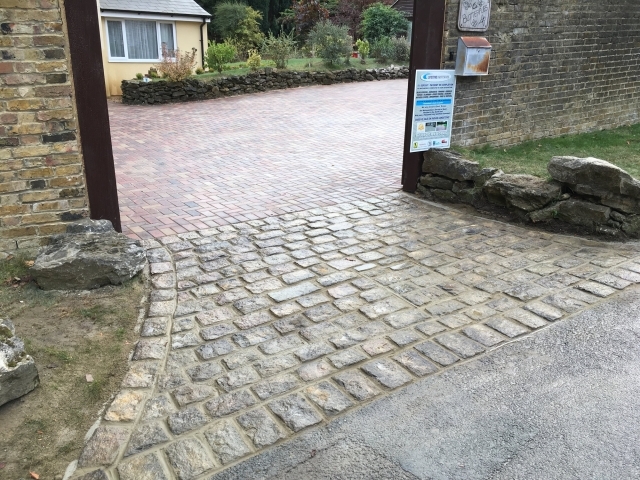 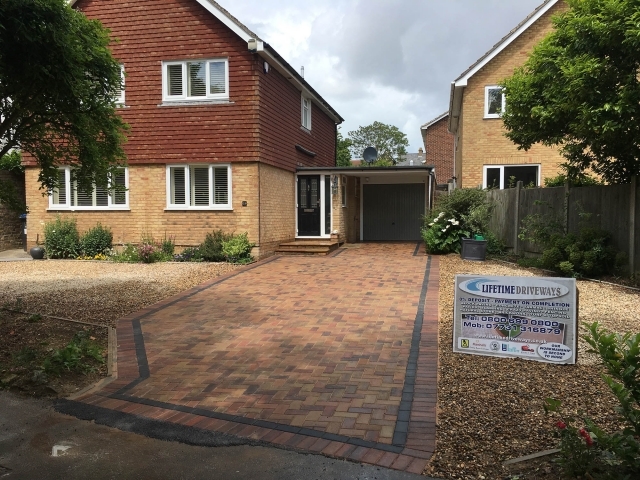 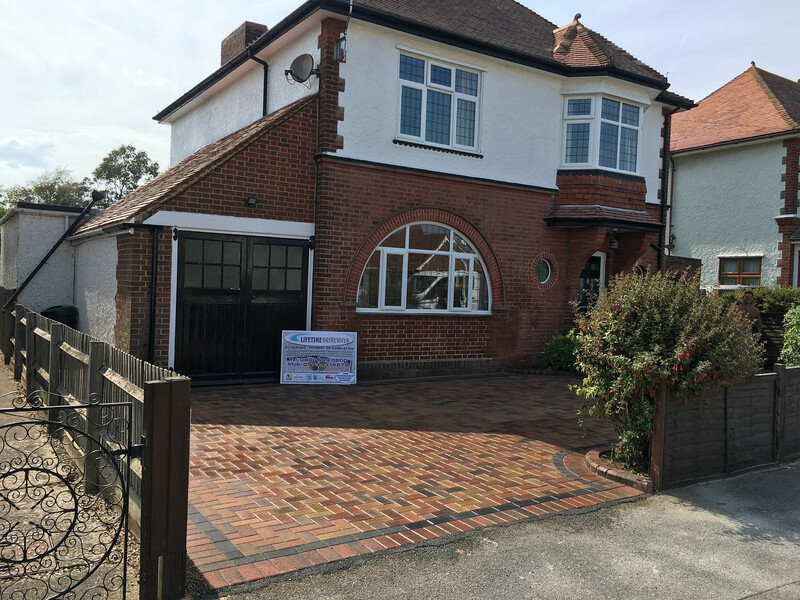 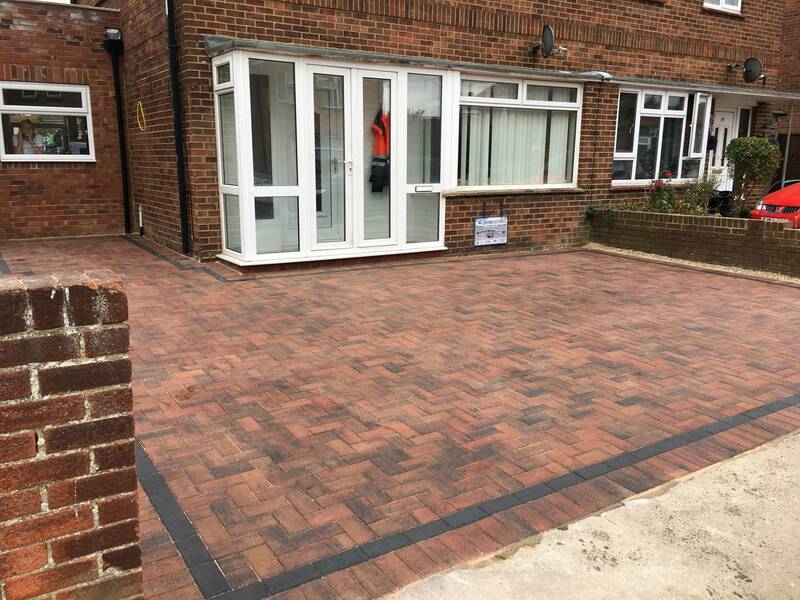 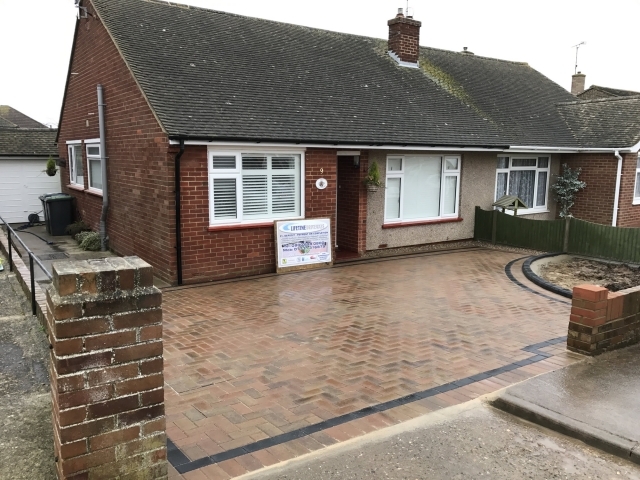 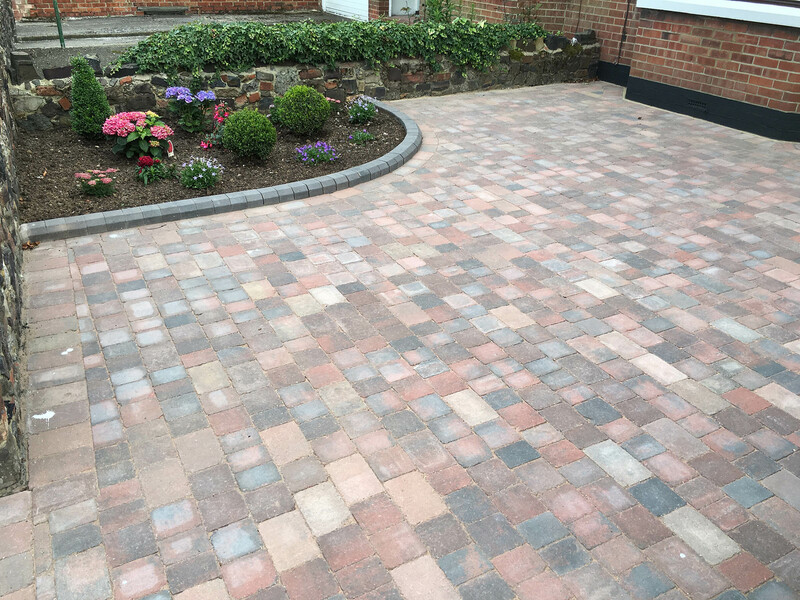 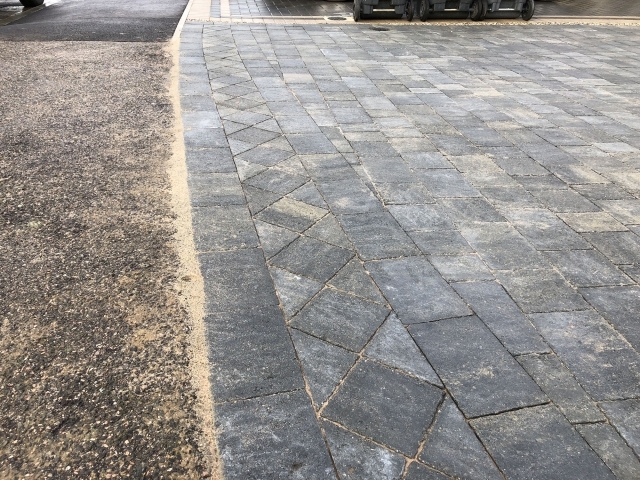 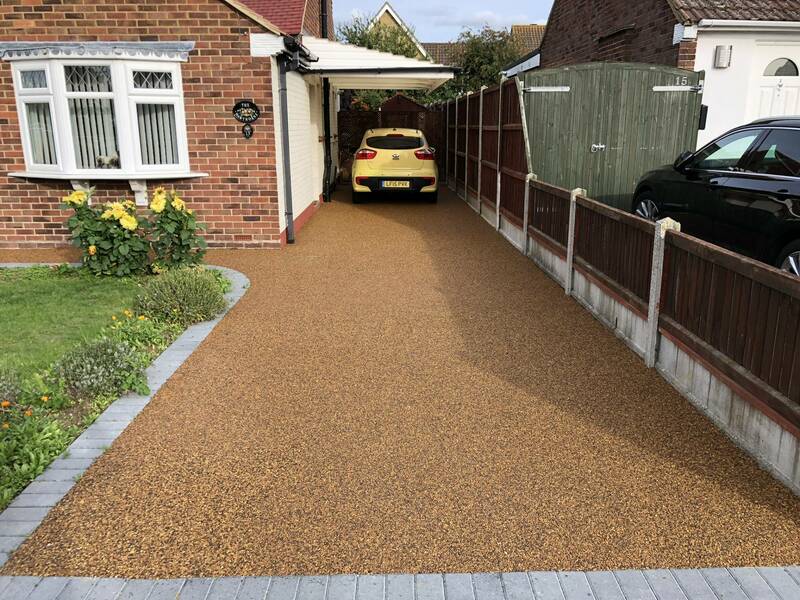 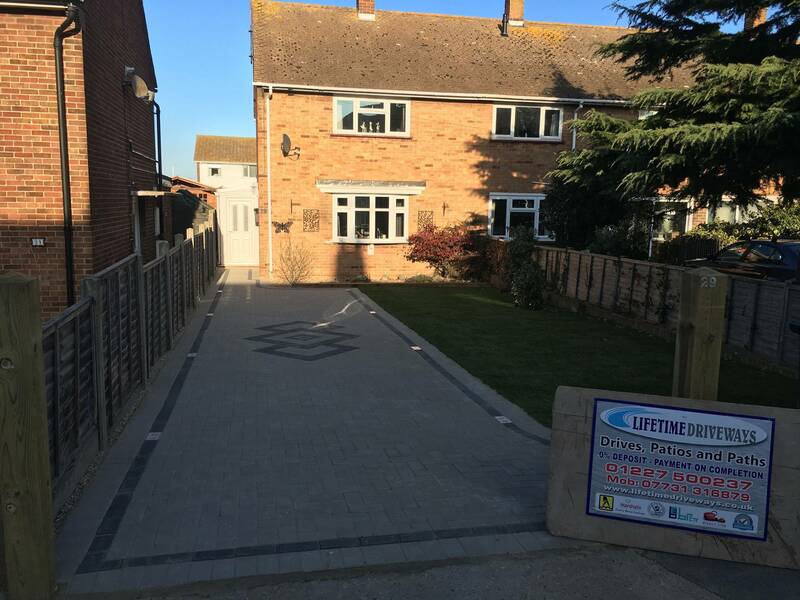 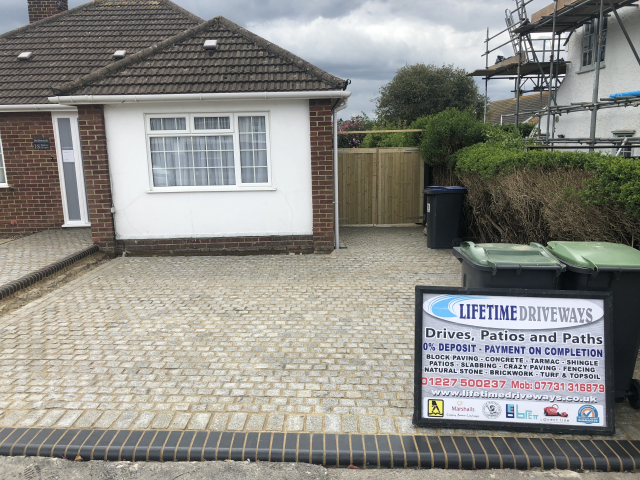 If for any reason you cannot have a block paving driveway, we can provide the groundwork and expertise to create or repair a concrete driveway. 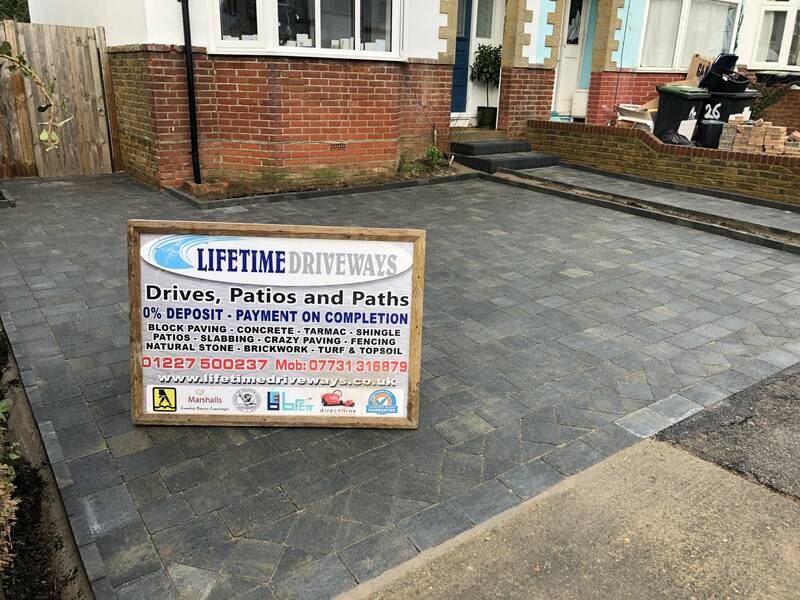 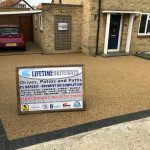 For concrete driveways Ramsgate or driveway companies Faversham, Margate, Canterbury, Whitstable and the surrounding areas, give us a call. 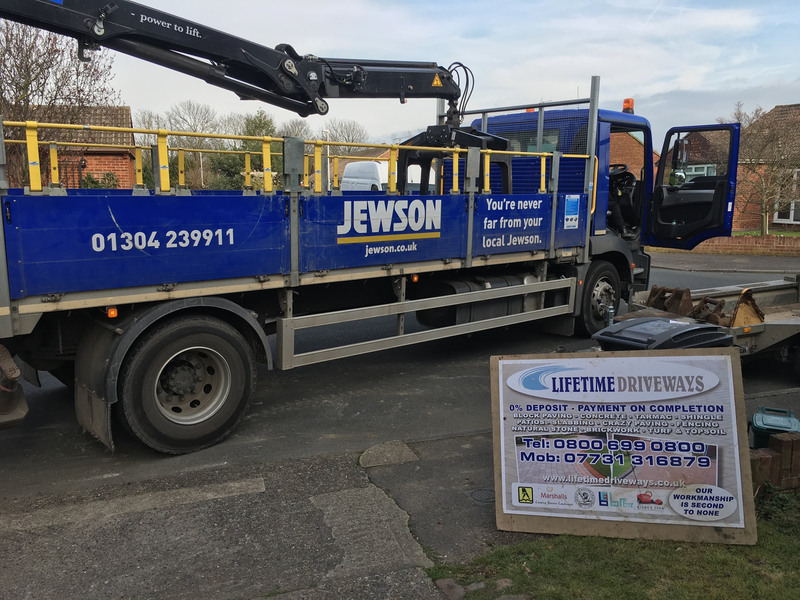 Dig out and remove debris from site by lorry same day (no skips). 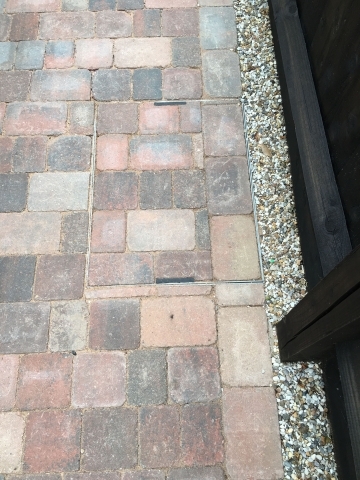 Apply weed control membrane(if required) to prevent shifting or sinking. Compact sub base area using vibrating heavy duty industrial compactor plate. 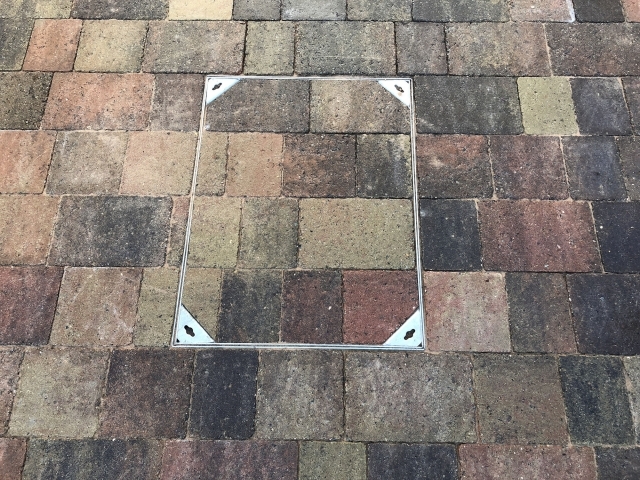 Renew any manholes with inset block paving manhole cover, install any drainage that is required(linear channel drains, gullies etc) and renew any storm drains or soakaways if required. Lay, compact and level approximately 30-50mm of sharp sand (sand acts as a shock absorber). 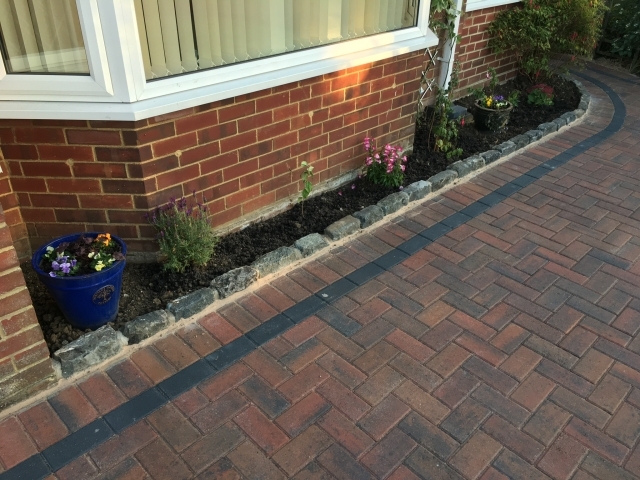 Lay and set chosen edging with a concrete base. 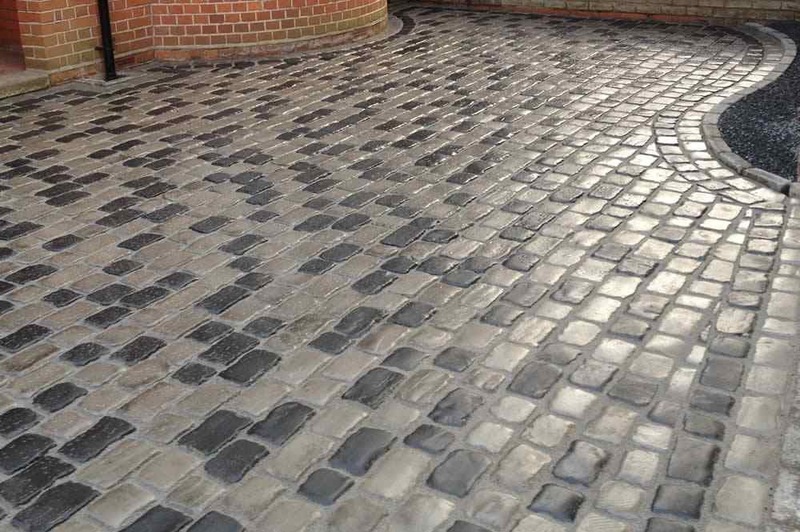 Lay block paving to the colour and pattern chosen (herringbone, stretcher bond, basket weave etc). Patterns including diamonds or squares etc also available. 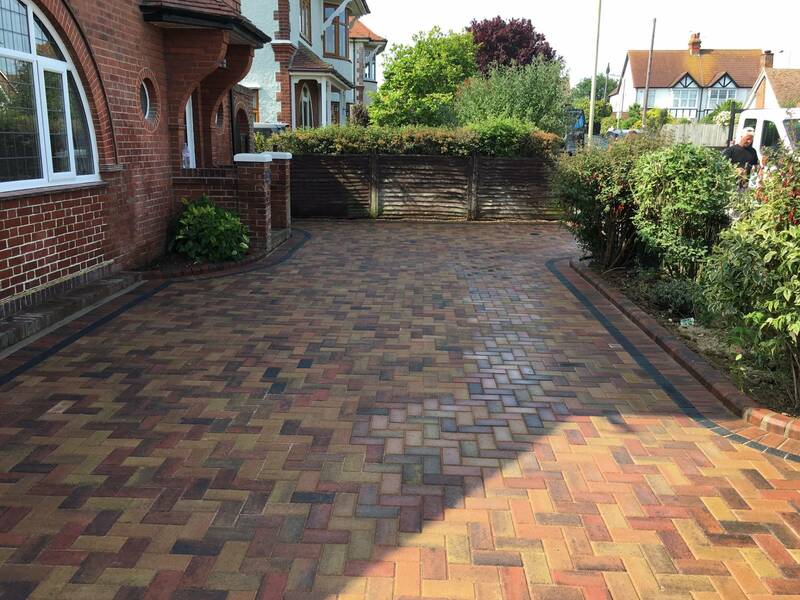 Sweep kiln dried sand (jointing sand) between blocks to complete a solid driveway. 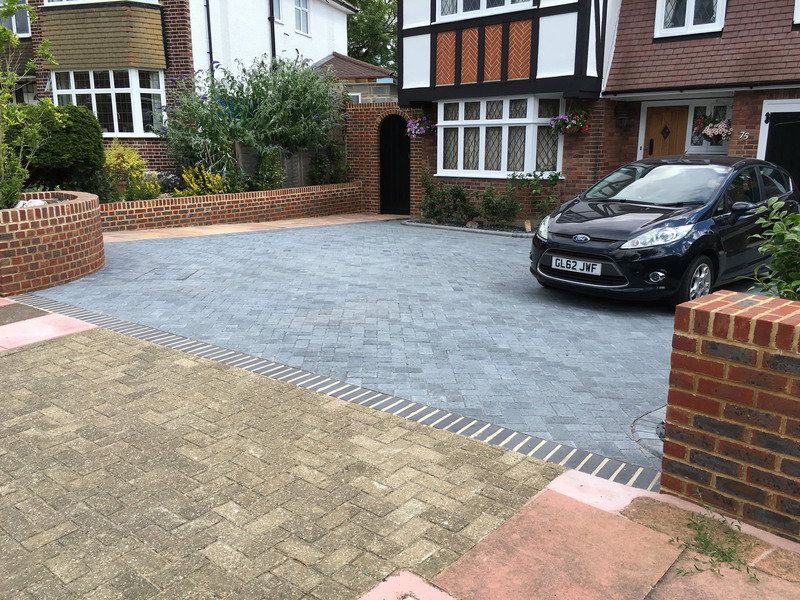 Compact driveway for the final time using heavy duty industrial compactor plate. 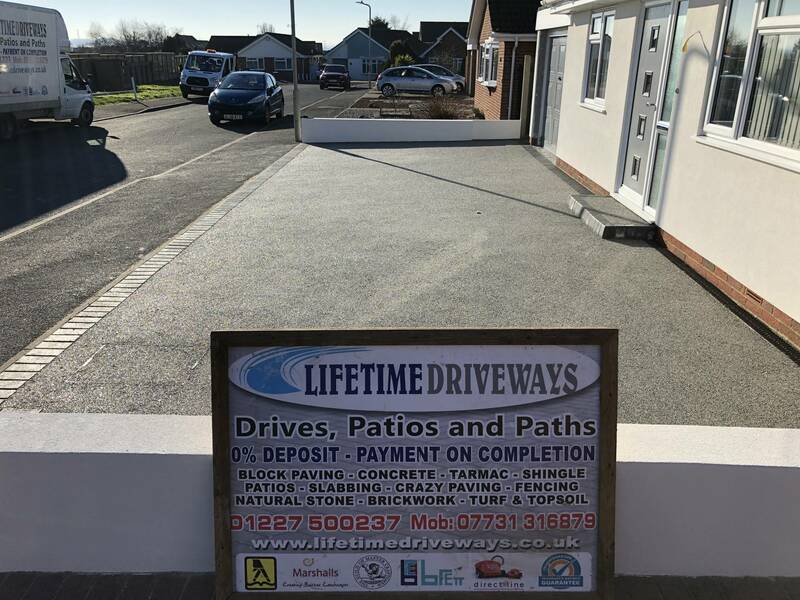 Clear, clean and tidy site.